Root Xiaomi Redmi Note 5 Pro:- Hey folks, in this post we will be giving you guys a complete guide on how to Root Xiaomi Redmi Note 5 Pro. Let’s tell you how you can Root Xiaomi Redmi Note 5 Pro. Moreover, we’ll provide you a single click method which will root your Root Xiaomi Redmi Note 5 Pro without any hassle. To very honest, Most of the time we don’t use one click root method to Root our Android devices. It’s just our mind satisfaction and everyone suggests the TWRP method. You shall also learn about Unlock Bootloader of Redmi Note 5 Pro. Let’s begin now. The method we are providing here to Root Xiaomi Redmi Note 5 Pro, is bit wide and you have to go through with a lot of technical stuff, also learn about Unlock Bootloader of Redmi Note 5 Pro. However, if you don’t like this, then there is another way for you. XDA member, Pr1nc3V has made a one-click root tool for specifically this purpose. All you have to do is download the Redmi Note 5 Pro one click root tool on your PC. Run it and follow the on-screen instructions and you’ll get root access very soon. Use the following link to download Redmi Note 5 Pro one click root. Now in order to Root Redmi Note 5 Pro manually, you need to unlock the bootloader first. We have broken down our comprehensive guide into five parts. It will be more easy for you to understand what you have to do first. Your device must be charged at least 80%. Minimal ADB and Fastboot tools [ Download ]. Redmi Note 5 Pro TWRP custom recovery [ Download ]. Create a complete backup of your device. [ Check our Guide ]. Use the following links to enable USB Debugging and OEM unlock. We posted sperate guides for each task. Enable OEM Unlocking on your phone. You have to visit the Xiaomi’s Unlock page and follow the on-screen instruction in order to Unlock Bootloader of Redmi Note 5 Pro. Turn off your device by holding down the power button for few seconds. Press and hold the Power + Volume Down buttons together and don’t let go of the buttons until you feel the vibration and Fastboot logo on the screen. Once you do let go all the buttons. Create a new folder on your PC and name it TWRP Recovery. Copy the TWRP file in it. In that same folder, press Left Shift + Right Click and select ‘Open command window here”. To make sure your device is connected properly, type the following command and press enter. Now it’s time to check your Recovery is working or not. Type the following command and press enter. This will boot your device into Recovery Mode. If your device is booted successfully, then proceed with the following. From the Recovery menu, you need to boot back into Fast Boot. Tap on Restart/Reboot -> Reboot Fastboot. Type in the following command and hit enter to start the flashing process. Once the process is finished, Type in ‘fastboot reboot‘ to reboot your Redmi Note 5 Pro. That will be all, Now you only have to download SuperSU .zip file and heed the instructions given in our complete guide. That’s all you will need in order to Root Xiaomi Redmi Note 5 Pro smartphone. Just follow this How to Root Xiaomi Redmi Note 5 Pro Guide step by step as mentioned in the post and you are good to go. Still, if you face any problem related to this guide on How to Root Xiaomi Redmi Note 5 Pro, you can always ask us here in the comments section below. 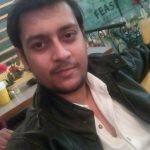 Ramneek Pratap Singh Parihar is the owner of www.techinvicto.com and an aspiring engineer (ECE) with new innovative ideas and a generous heart. This is what pushes him to help people and hence he is working here to help people on technological front. Ramneek is an enthusiastic human being and a philanthropist. His other interests include playing football and listening great music. Techinvicto © 2019. All Rights Reserved.